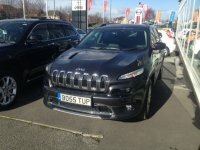 What is classed as a legal UK number plate? 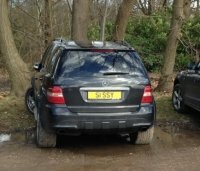 In the UK registration there are very stringent rules regarding what is classed as legal when it comes to number plates. Here, we will guide you through the DVLA’s (previously known as DVLC) rules for legal number plates, including some common faults. Legally, the number plates attached to your car need to be made by a manufacturer who is registered on the DVLA's Register of Number Plate Suppliers (RNPS). 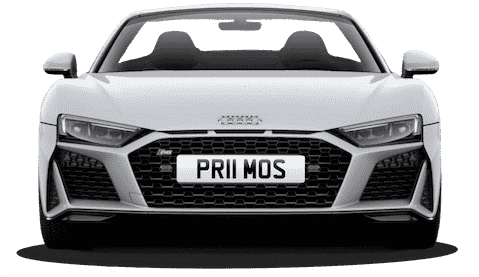 Primo Registrations are a registered supplier (number 43997) so you know that when buying through us you’re guaranteed legal number plates. There are alternatives for motorcycles, tricycles and traditional (black and white / silver) number plates. 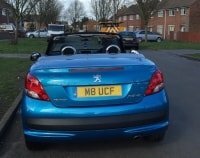 All reputable number plate manufacturers will be aware and stick to the DVLA’s regulations. This is very important as vehicle registration marks must be displayed in accordance with The Road Vehicles Regulations 2001, see http://www.opsi.gov.uk/. Character dimensions can differ slightly depending on whether your number plates were fitted before or after 1st September 2001. Details can be found below. 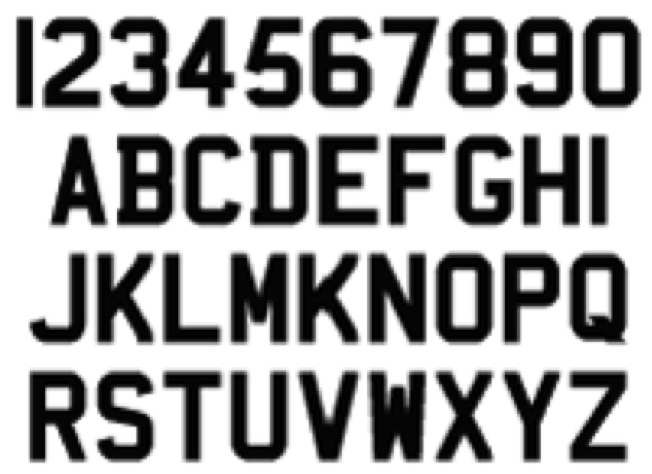 Character dimensions also differ for traditional 'black and white' plates, which may only be fitted on vehicles manufactured before 1st January 1973. See traditional number plates for more information. All motorcycles and tricycles must display a number plate at the rear of the vehicle, if registered before 1st September 2001 it is allowed but not required by law to display a plate at the front. Two or three wheeled motorcycles or tricycles that have a car-type body must display a number plate at the front and back of the vehicle. Motorcycles registered on or after 1st September 2001 must display a two-line number plate, vehicles registered before 1st September 2001 may display a three-line number plate. One-line number plates are illegal, regardless of the date of registration. Since 1st September 2001 you have been able to choose to display a Euro flag, for vehicles registered in the UK. The Euro-plate is a number plate that has the symbol of the European Union on the far left-hand side of the number plate. Vehicles displaying this Euro symbol on the number plate don’t need to use a national identifier (GB) sticker when travelling within the European Union. 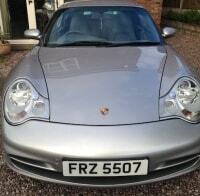 All vehicles registered in England, Northern Ireland, Scotland and Wales have the distinguishing sign GB. On 28 December 2001, the Government announced the intention to permit the display of national flags and national identifiers on number plates. This allows for the voluntary display of the Union flag, Scottish Saltire, Cross of St George and Red Dragon. It is illegal to display other symbols in this place, such as football team crests etc. All number plates made after 31st August 2001 must display the mandatory font and any number plates made prior to this must be similar. Stylised letters or fixing bolts or sticky tape which alter the appearance of the letters are not illegal and can result in a fine. By law it is illegal to alter, rearrange or misrepresent the letters or numbers. Additionally, characters cannot be moved from one group to the other, for example, A242 ABC must not be displayed as A242A BC. Full details of the requirements are included in The Road Vehicles (Display of Registration Marks) Regulations 2001. Remember, if your number plate is not legally displayed you risk a fine, and could even have the registration number confiscated. If you have any additional questions regarding the legality of number plates or are looking for more information surrounding your purchase with Primo Registrations, then get in touch today on 01252 49 1111.